Return to Lego Middle Earth once more! If you liked it last time, Lego: The Hobbit will not disappoint. At this point, it is safe to say that if you have played one Lego game, then you have really played them all. Though there are subtle variations to the overall structure and mechanics of different games, Traveler’s Tales never tries to reinvent the wheel. Lego: The Hobbit is no different, and your enjoyment on this game will most likely depend on whether you are fond of the license or not. 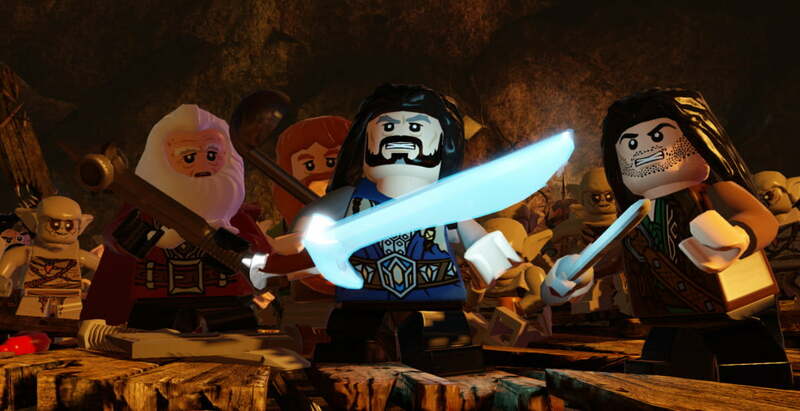 Lego: The Hobbit nailed Jackson’s Middle Earth, Just as Lego: The Lord of the Rings did. The two games do not only share a setting, but about 90% of the same mechanics. Just as before, there is a main quest line to embark on, but at any point in the game, you can go off and complete various side activities. Ranging from accumulating the billion different collectables, to completing quests, and even using a new crafting system, there is a lot to do in Lego Middle Earth. If you are at all a completionist, the Lego: The Hobbit should not disappoint. One of my main gripes with almost all Lego games lies within the puzzles. Either a game is too puzzle heavy like Lego: Harry Potter, or this puzzles offered are too simple, like Lego: The Lord of the Rings. Lego: The Hobbit lies somewhere in between these two, but it more closely resembles its direct counterpart. I get that these games are meant to be accessible for all ages, but I feel as though a Lego game has yet to hit that perfect balance. Typically in games like this, you are looking for a fun couple of hours, and some tongue and cheek humor. Lego: The Hobbit offers that for certain, but it also does something slightly unexpected. It manages to contain this bizarrely epic quality. There are times in the middle combat, where things will explode, and the game goes into slow motion for a brief while. During this time you can see bricks slowly fly in all directions, and enemies break to pieces. A few times I became so enthralled in the action, only to remember that I am playing a Lego game. The story itself takes you through the first two movies, and promises to have the final act available when the movie comes out later this year. This is very much an adaptation of The Hobbit movies, and not the 1937 book. All of the expanded events found in the films are in the game, albeit an abridged version. Some liberties are also taken from the movies as well. 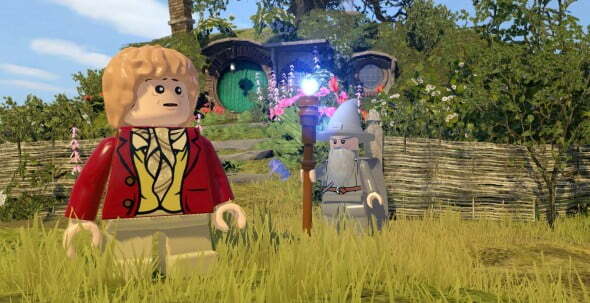 For example, there are often times within the movie that Bilbo is alone, but since Lego games are known for their jump in co-op, two characters are on screen at all times. So often you will see a dwarf, or even a dazed goblin stay behind with Bilbo. With the musical score, and voice work being pulled straight from the films, they are typically top notch. However, some of the audio work is a bit patchy at times, and voice quality and sound level can be a tad distorted. Lego: The Hobbit may be like many games that have come before, but it is an enjoyable time nonetheless. It can be rough around the edges at times, and aside from experiencing The Hobbit in Lego form, there isn’t a lot else. Perhaps it is because of my infatuation with Middle Earth, but despite these grievances, I loved Lego: The Hobbit from start to finish.